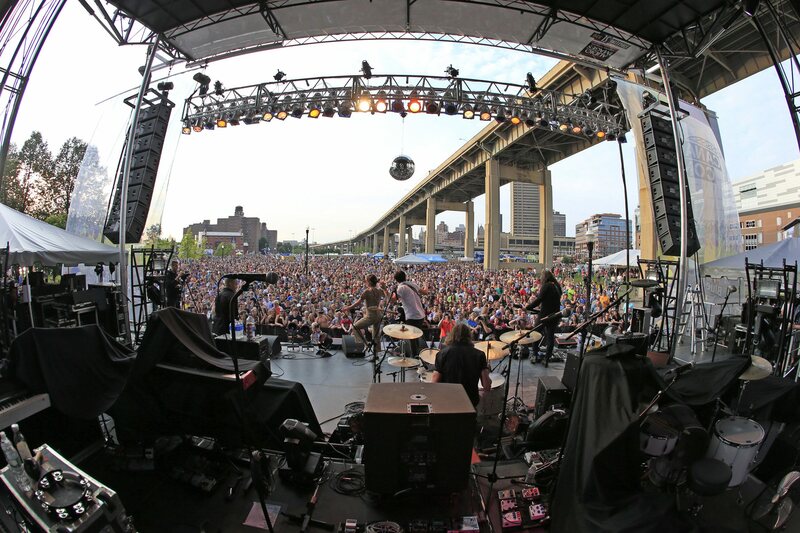 Today, it’s the latest, greatest Buffalo hangout: Canalside. Selfies with SharkGirl and Tim Horton, curling, riding ice bikes, and soaking up sun in colorful Adirondack chairs are all exciting new parts of what it means to be a Buffalonian in 2016. While many say the rebirth of the inner harbor area is a long time in coming, it’s at least the fourth or fifth time the area has been “reborn” since Buffalo’s first non-native residents built huts along the northern shore of Little Buffalo Creek. That creek was excavated to form the Commercial Slip and Erie Canal terminus, which was filled in so the Aud could be built on it. 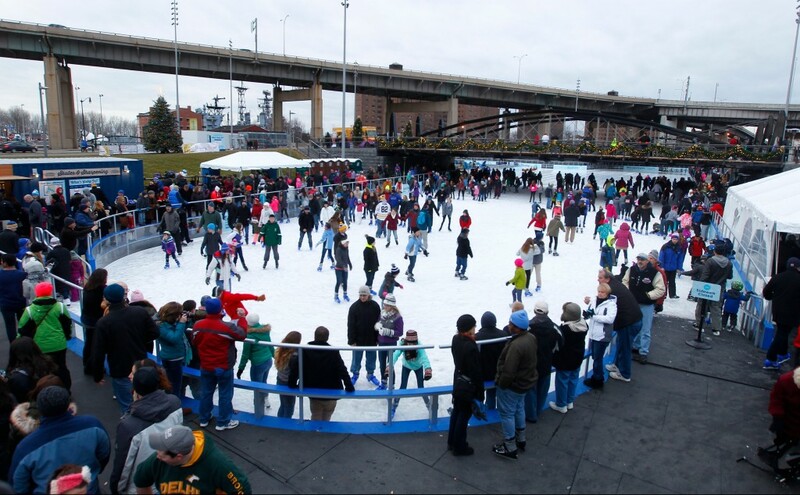 Then the Aud was torn down and replaced with the Canalside skating rink. From the canal, to railroads, to grain storage, to manufacturing and industry, most of what made Buffalo an important place during the city’s first hundred years happened within sight of modern day Canalside. 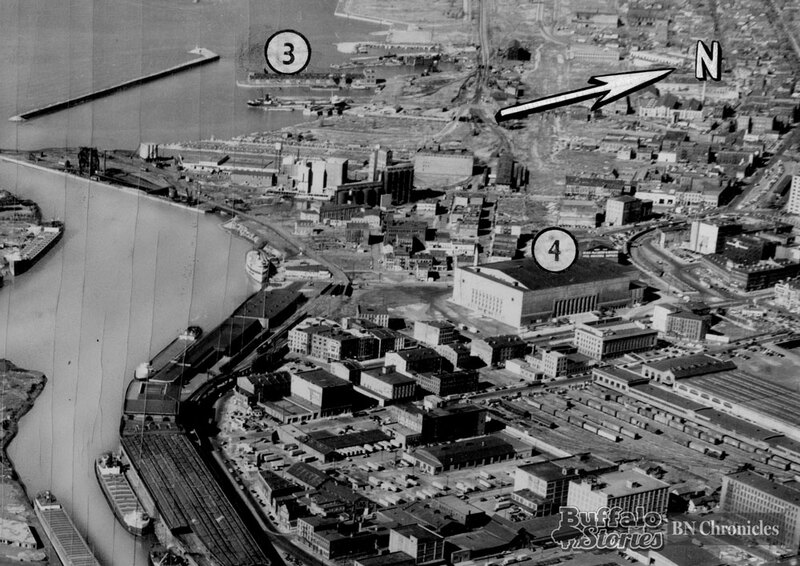 It was from the area we now know as Canalside that Buffalo grew into a village, then a city. Through the second half of the 1700s, the place was wilderness, with a scattering of huts from French and, later, British explorers and traders. The Senecas also built a longhouse in the area near what we now call Buffalo’s inner harbor. Cornelius Winne, one of the first European settlers to come to this area, built the first permanent house by Western standards in 1789 near where the I-190 goes over Washington Street. Three decades later, Buffalo’s future was secured when it was decided that the Erie Canal would terminate at Buffalo Harbor. The canal was a modern marvel in transportation and communication that tied the eastern United States to the frontier lands of the west, and its end point was where Buffalonians now spend the winters curling. The canal brought ships, and ships brought business — and sailors. 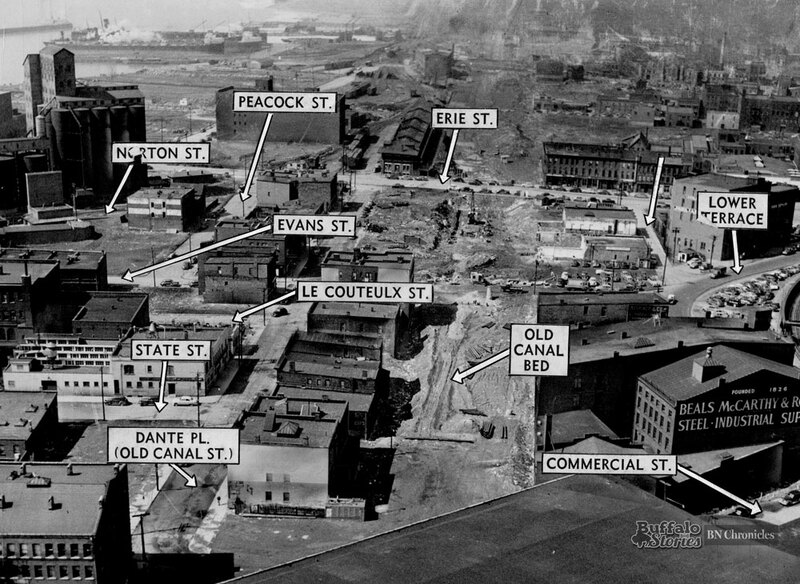 As one of the country’s busiest ports, the area near the canal was also one of the county’s most rough-and-tumble neighborhoods, as demonstrated by one of the maps recently restored by the Buffalo & Erie County Public Library. Known as “the Infected District,” “the Hooks” or just Canal Street, the area was a hotbed for licentious behavior, especially among visiting sailors. 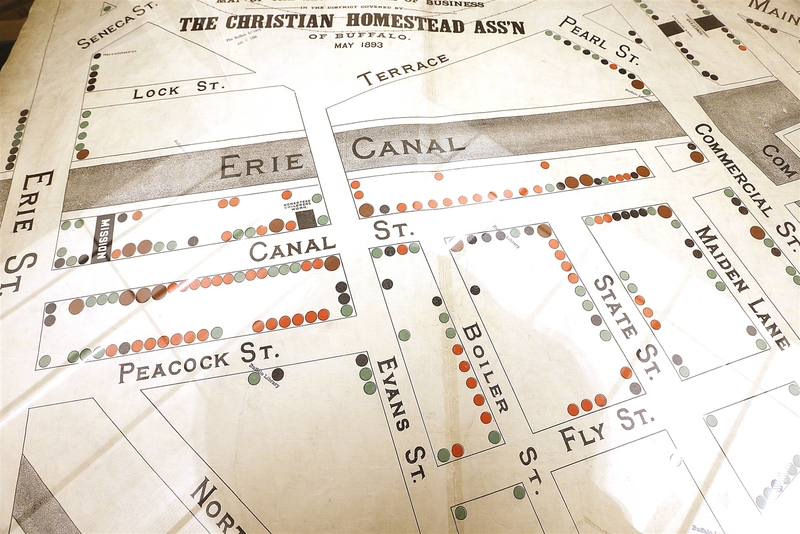 The red dots on the map show the location of “houses of ill-fame.” The Christian ministry that created the map, in hopes of drawing attention to the problems of the area, counted 75 houses of prostitution and 108 “thriving” saloons in the relatively small area now covered by the Marine Drive Apartments, the Buffalo & Erie County Naval & Military Park, and the Liberty Hound Restaurant. A 1903 piece in The Buffalo Evening News described the district and the map in detail. “The extent to which vice flourishes at the Canal street region, or the infected district, as it is called, is pointedly shown in a large wall chart just issued by the Christian Homestead Association, which is doing mission work in that district. Part of what was so shocking about the drunkenness and debauchery of Canal Street is that it was freely participated in by both men and women. The steely females of Buffalo’s waterfront weren’t just arrested for prostitution — they were often found in the drunk tank and were accused of knifings, assaults and even the occasional murder. The Canal Street area was also a place of extreme poverty. 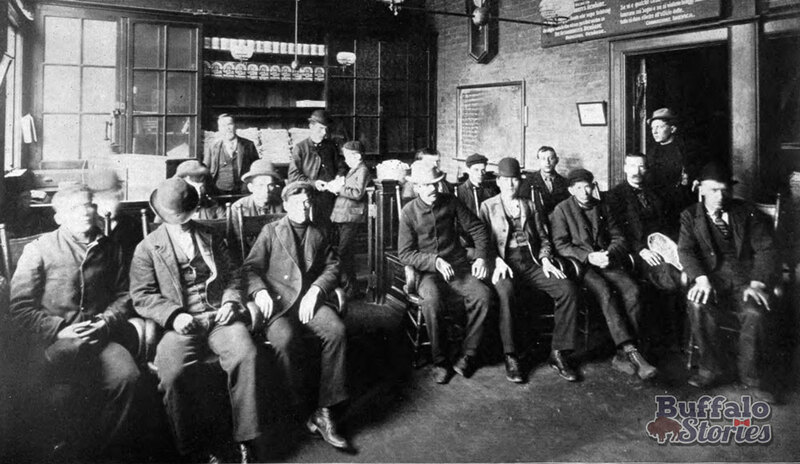 Interspersed among the gin mills and cathouses were the crumbling tenement homes teeming with first-generation Italian immigrants. The 19th Ward, of which this area was a part, had Buffalo’s highest concentration of tenement housing at the turn of the 20th century. 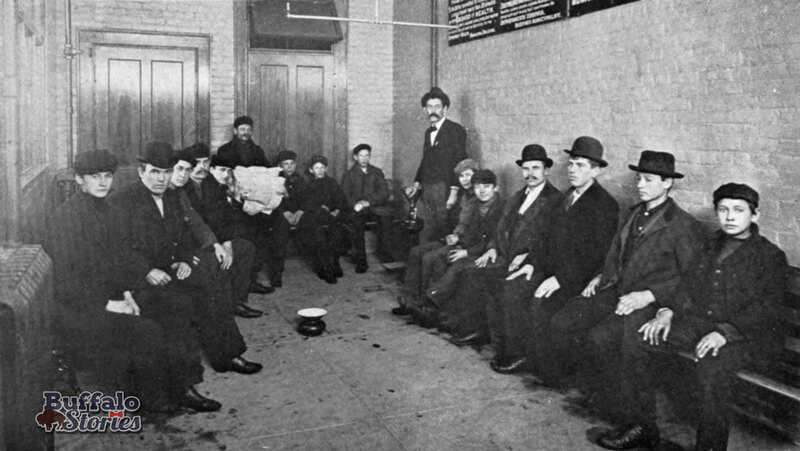 Italians, more that any other nationality, lived in tenement structures in 1893, when Buffalo had about 9,000 people living in such conditions, where poor sanitation helped breed illnesses like cholera. 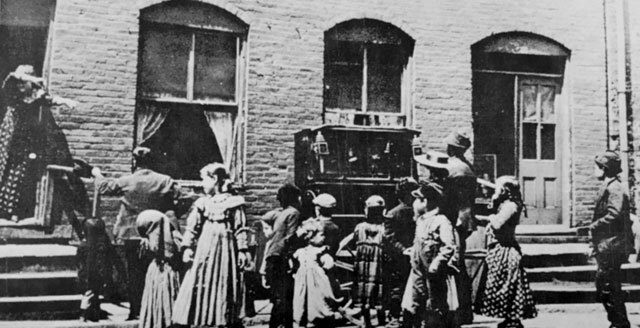 That 1893 study of tenement houses citywide made note of the poor sanitation on Canal Street, where the water closets and toilets for an entire block of homes “were too filthy for use.” Families were routinely living and sleeping in single rooms smaller than 10 feet by 10 feet. The language in talking about these places was strong, particularly where the welfare of children were concerned. 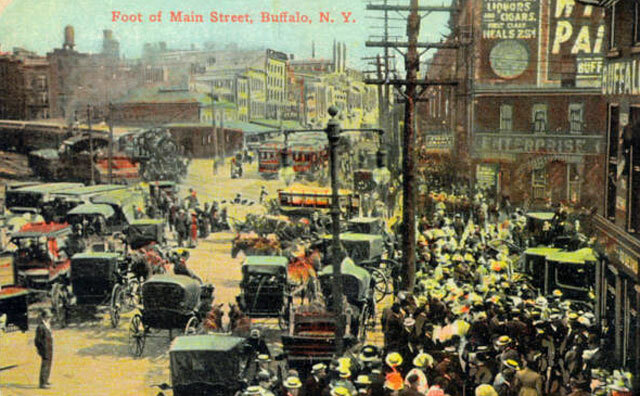 Buffalo’s more landed and wealthy class looked upon the living conditions of Buffalo’s poorest with much hand-wringing. While “The Charity Organization Society” clearly means to describe the living conditions in the slums, another article in The News in 1896 shows antipathy for the people as well their living conditions. The author is explaining “nicknames for different nationalities found in Buffalo.” Today, we’d call them slurs, but 110 years ago, they just wanted to be sure that readers were using the words properly. 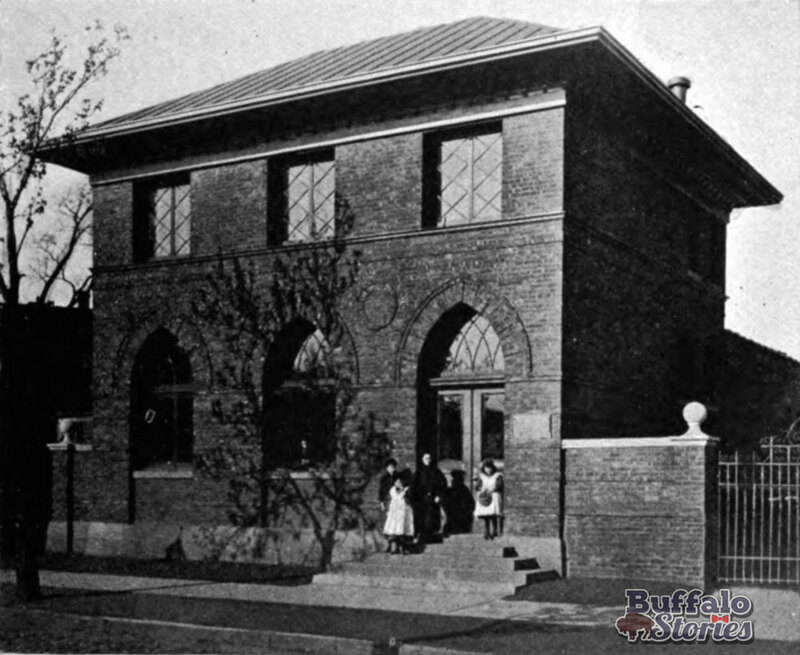 While today’s Canalside was once home to aristocratic Buffalo’s least favorite immigrant neighborhood, it was also home to one of the city’s great sources of civic pride for more than a century. Buffalo’s Liberty Pole was erected in the wake of a nationalistic fervor following Buffalo’s role in Canadian attempts to throw off the yoke of the British monarchy in 1837’s Upper Canada Rebellion. Canadian freedom fighter William Lyon Mackenzie convinced many Buffalonians to help, including the owner of the steamer Caroline, which was ferrying supplies to Mackenzie’s holed-up spot on an island in the Niagara River. British forces captured the ship and set it on fire, letting it crash over Niagara Falls. An American crew member was killed. The next year, men of Buffalo and Black Rock gathered to celebrate their liberty — and built a Liberty Pole to celebrate freedom from the British. The pole was topped with a menacing gold eagle facing Toronto and the British Canadians with whom they’d been embroiled. 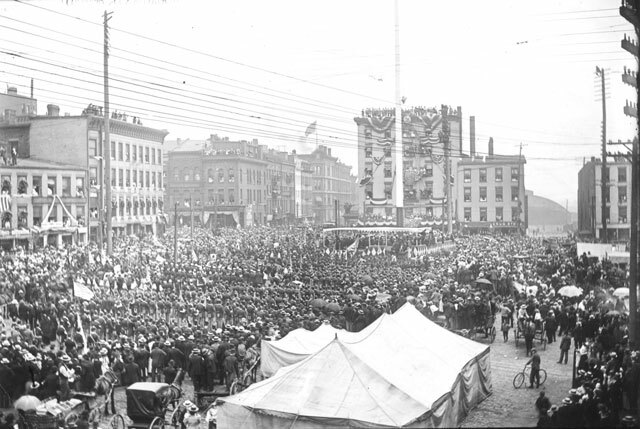 For the next 100 years, the Liberty Pole at Main and Terrace was perhaps Buffalo’s best-known meeting place, on an open square near what was, for most of that time, Buffalo’s rail hub as well as the busy lake port. You don’t have to reach far back to find memories of Canalside as a port, either. 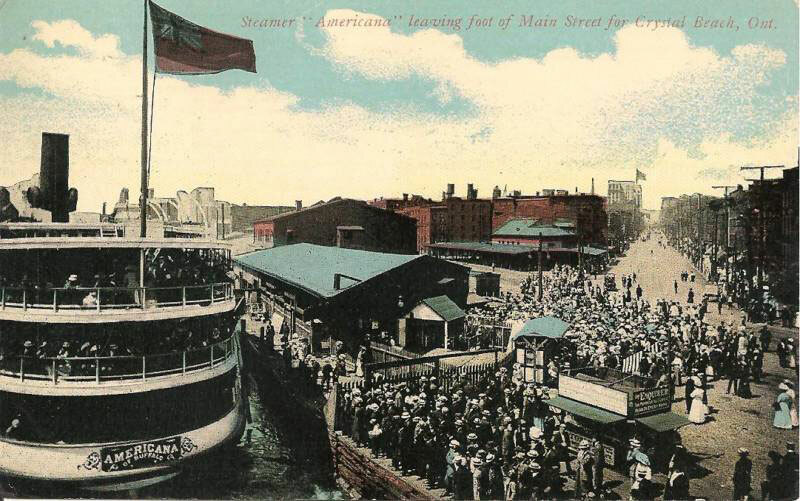 Generations of Buffalonians caught the Crystal Beach Boat at the foot of Main Street, though their view of the Canalside area was dramatically different from the one we have today. For years, as they left the Americana or the Canadiana, they could look up Main Street and watch what was truly Buffalo’s main business thoroughfare disappear into the horizon. In 1939, construction began on the mammoth Memorial Auditorium at one end of Dante Place, wiping out a series of what were considered tired old buildings with a fresh new structure that was intended to reflect Buffalo’s future. It was the beginning of the end for the the colorful neighborhood that had been known as Dante Place, Canal Street, the Hooks, and the Infected District. This photo shows the area just before the Memorial Auditorium was built. 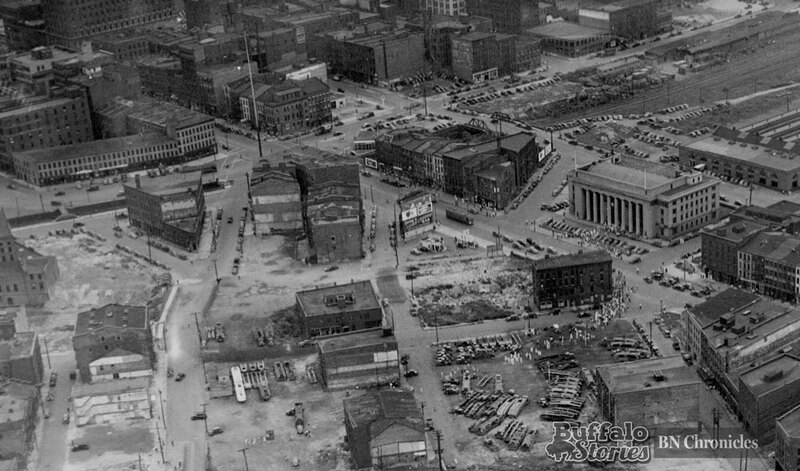 The Liberty Pole is there, along with the columned Lehigh Valley Terminal, which was torn down in 1960 to make way for the Donovan Office Building. That building is now the remodeled headquarters of Phillips Lytle and a Courtyard by Marriott hotel. Toward the upper right of the photo, you can see the rounded roofs of the train sheds visible in far off in the background of the Liberty Pole photo above. While the Depression-era public works building of the Aud helped spell the end of one of Buffalo’s great neighborhoods, it also helped bring a feeling of new life to the city. In fact, in much the same way the slow demolition of the Aud in 2009 seemed to spark excitement and hope for something new at the waters’ edge, the slow building of Buffalo’s new “convention center” had the same effect 70 years earlier. “As if overnight the terrace is coming back to life,” News reporter Nat Gorham wrote in 1939. At the beginning and end of its usefulness as a building, the waterfront’s Memorial Auditorium helped coalesce Buffalo’s dreams and hopes for the city. Just as we watched with anticipation as the Aud came down, the people of Depression-era Buffalo watched with anticipation as the building went up. 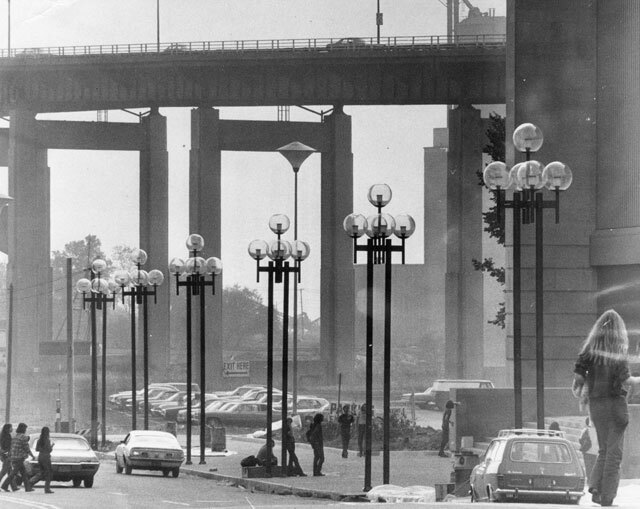 In 1970, the Aud again played a part in what was new and exciting in Buffalo, bringing thousands of fans to Canalside as the home of the NHL’s Sabres and the NBA’s Braves. A facelift for the building and surrounding area brought modern lighting to the streets, and the orange level of seating had been added to the building by 1973. 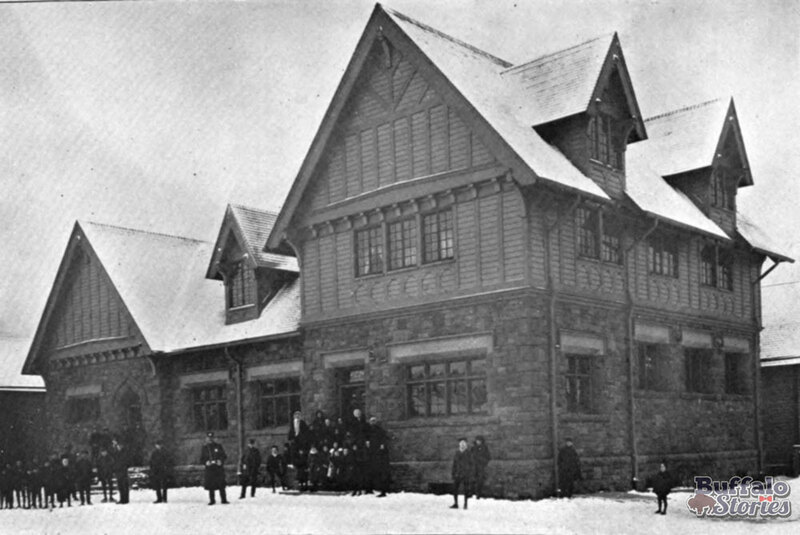 Nearly 30 years later, the Aud closed, and in 2009 it was demolished. That cleared the way for what we know today as Canalside. For 50 years, people all over the city bemoaned the fact that there was “nothing going on” at Buffalo’s waterfront. 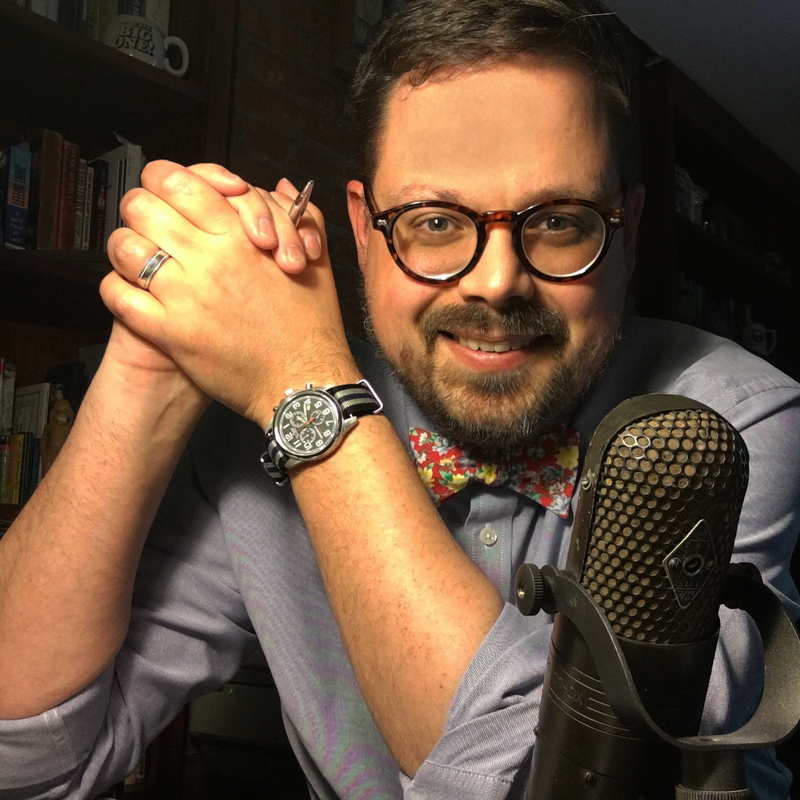 The somethings-new every few years did little to jump-start the imaginations of Western New Yorkers or make any real progress at the water’s edge. But ever since settlers came to Buffalo’s waterfront in the 1700s, there has been flux and shifting for the land closest to the Buffalo Harbor. It all coalesces in more excitement for Buffalo and its waterfront than has been seen in generations. One of the last contested questions of Buffalo’s Canalside development is what should become of the Marine Drive Apartments. 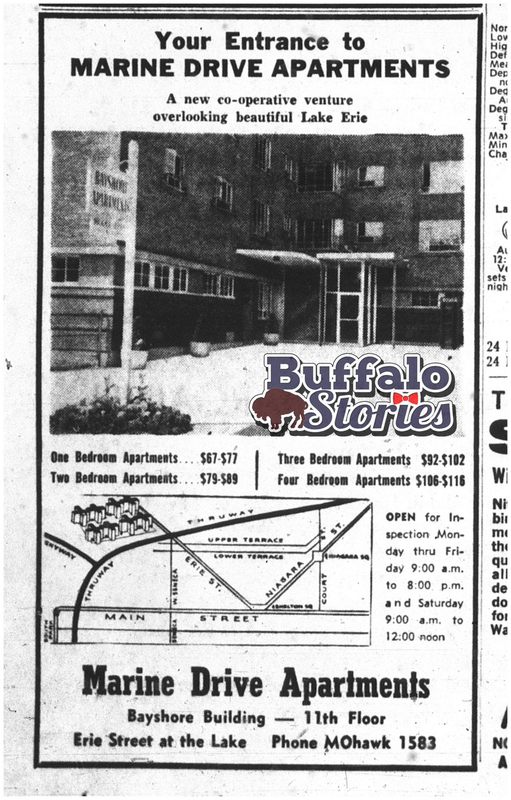 Fifty-five years ago this week, open houses were welcoming prospective tenants to check out the only downtown waterfront living available at the time.